There is no rough on the right side of this fairway... just the wall and the clear and present danger of three off the tee! Being brave from the tee and leaving an approach from close to the wall gives you the best angle to this green. 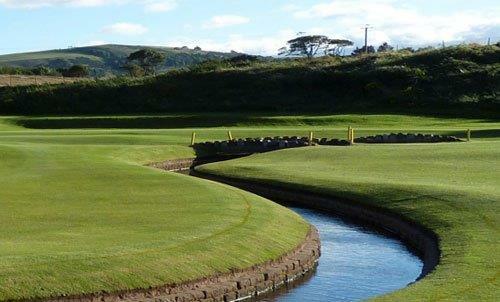 A large, back to front sloping green can be tricky to judge so clubbing is very important, just make sure you carry the water guarding the front of the green!